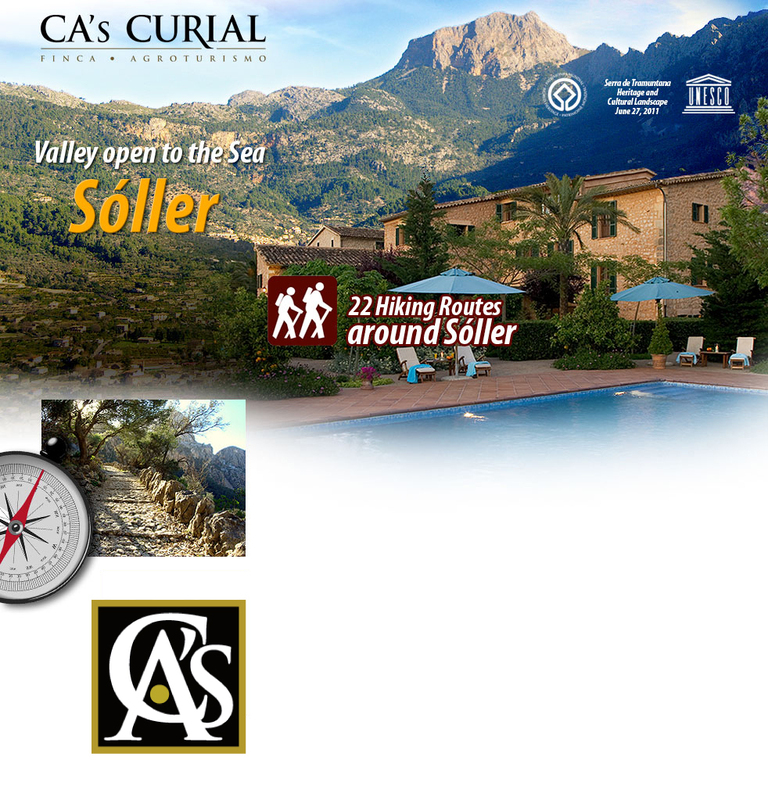 The natural environment of Soller has a variety of incredible landscapes.This is borne out by different mountain, coast and sea routes. The impressive views from Serra de Tramuntana with several peaks of over 1,000 metres, such as Puig Major (1,450), represent the steeper side of the island. Its gorges, gullies and cliffs conceal landscapes which surprise all those walkers who venture along their cobbled and ancestral paths. The information provided on this website and all its contents, including texts, images and maps, is by way of guidance, so that users have basic and additional information. This information must not be used as a hiking guide. Hiking and mountaineering involve certain risks. In no case shall this website be liable for these risks or any accidents. Users therefore accept any direct or indirect responsibility when going on any of the paths suggested by this website. Most of the hiking or mountaineering routes in Majorca cross private properties, so users will have to get any permits required in advance. sea and the mountains of Serra de Tramuntana.